Meet up after work at Pine Mountain Sports for a fun and social mountain bike ride for guys and gals of all abilities! 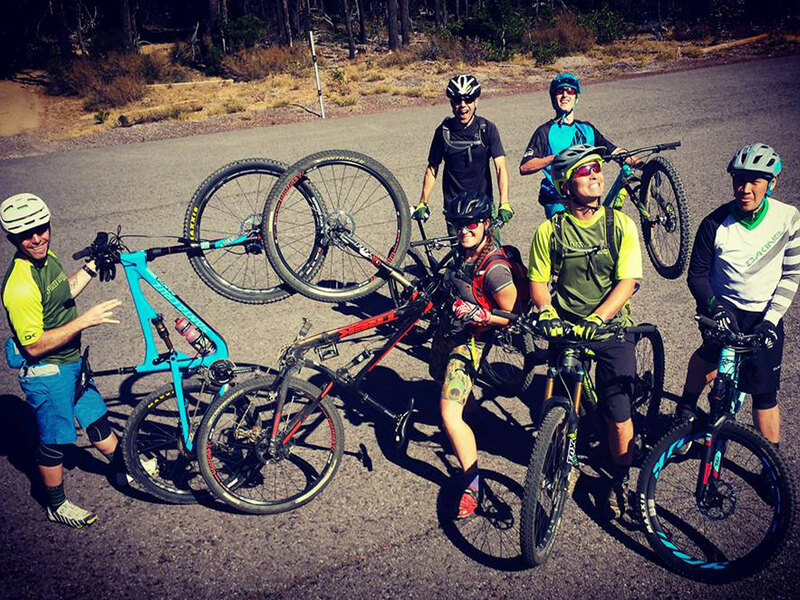 We’ll pedal to the trails from the shop and divide into groups based on riding levels . Each group will have a ride leader and a designated sweep, and decide its route and ride time based on everybody’s needs. We’ll all wait for each other and regroup at each trail intersection. All abilities are welcome and nobody is left behind. Trek, Juliana, and Santa Cruz mountain demo bikes are free for the evening on a first-come, first-served basis. If you wish to demo a bike, please arrive 30 minutes early and show credit card and drivers license. Our Bike Ride Waivers must be completed on-line or in the store before the ride. Save time by signing your Bike Ride Waiver for this event in advance. No RSVP required. Call 541-385-8080 for questions. Thanks!